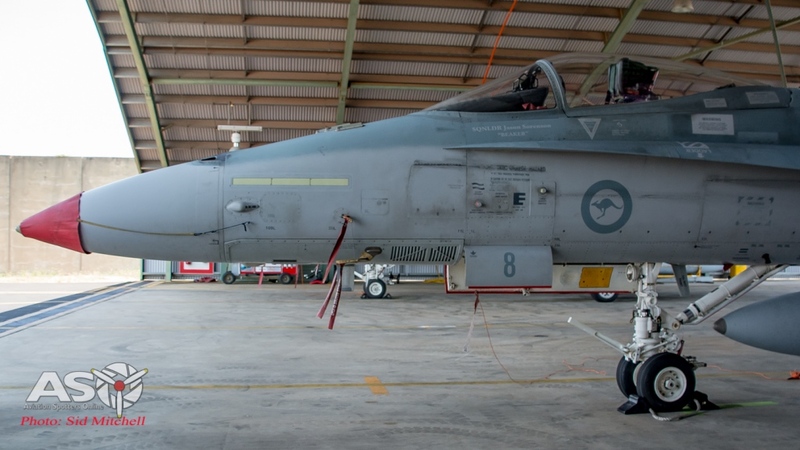 This week ASO was part of a small media group given access to RAAF Base Darwin in the Northern Territory to speak with Wing Commander Michael Grant, Commanding Officer of No 75 Squadron, about Exercise Elang AUSINDO 17. Visits to an OLA to view aircraft plus excursions to adjacent Runway 29 to watch jet departures and arrivals was also on offer. 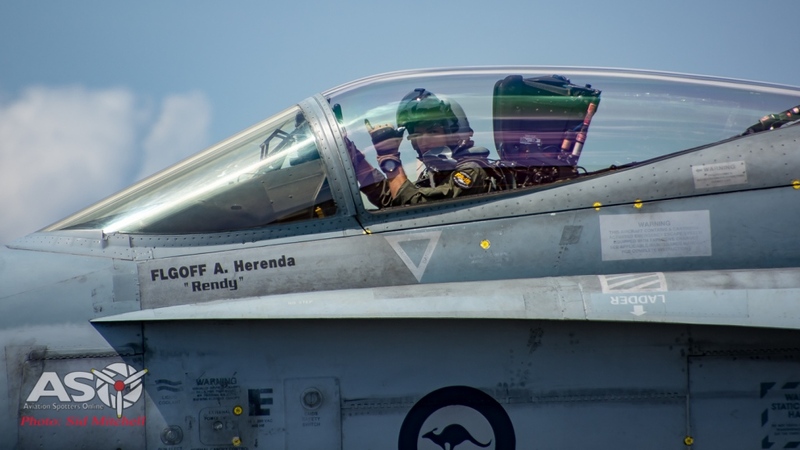 Exercise Elang AUSINDO 17 is a bi-lateral exercise between the Indonesian Air Force, the TNI-AU, and the Royal Australian Air Force which is being held from 16 – 27 October based out of RAAF Base Darwin. 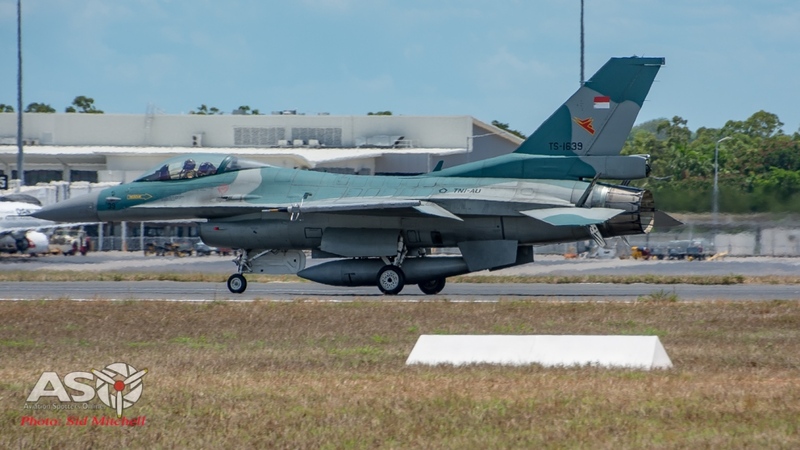 The TNI-AU have brought F-16C Block 25 Falcons from 3rd Skadron Udara, Iswahjudi AB, East Java, while the RAAF has temporarily relocated some 75 Squadron F/A-18A Hornets from nearby RAAF Base Tindal. 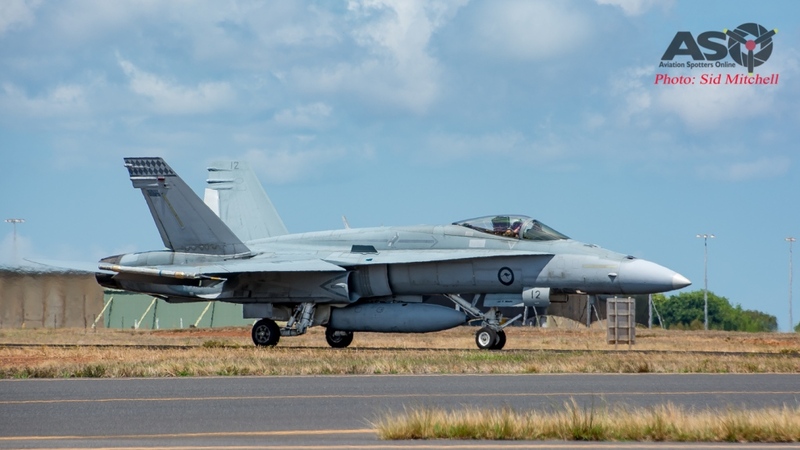 The exercise aims to increase interoperability between the two nations by developing skills in various Air Combat Manoeuvring (ACM) or ‘Dogfighting’ scenarios within designated training areas both off the coast, and over land in the N.T. 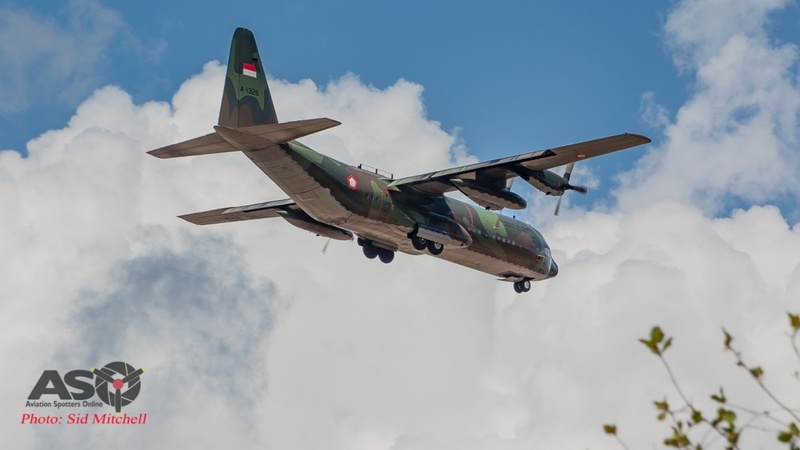 TNI-AU C-130H Hercules from 31 Skadron Udara delivering personnel and equipment for the deployment. 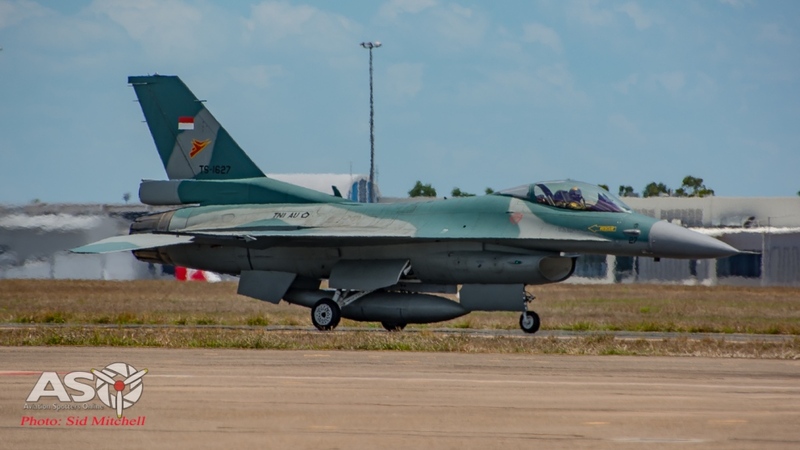 Arrival of F-16C from Indonesia. 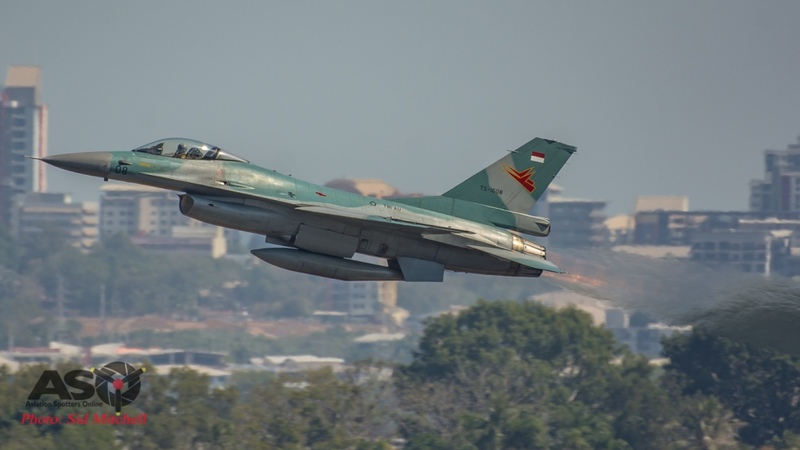 Aircraft from the Indonesian Air Force began arriving early in the week with C-130H Hercules delivering personnel and equipment followed by the detachment F-16’s soon after. 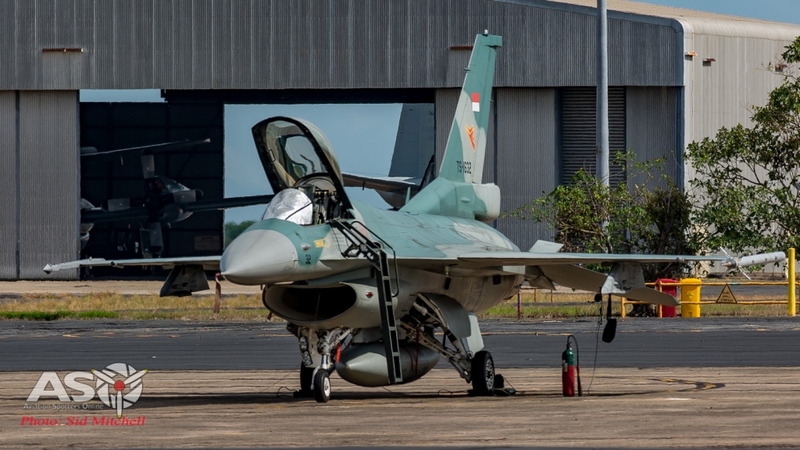 F-16C’s from 3 Skadron Udara, TNI-AU on the flightline at RAAF Base Darwin. 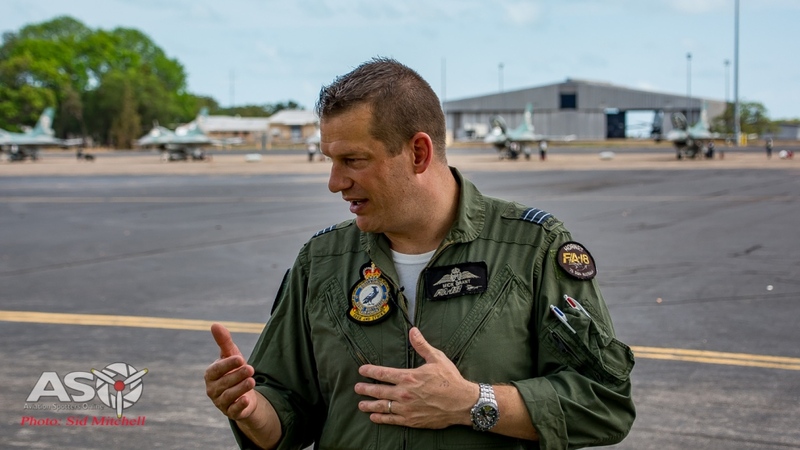 Thursday at 9 a.m I joined the RAAF Public Relations Team at the front gate of RAAF Base Darwin and proceeded to the Military Hard Stand to meet Wing Commander Michael Grant, Commanding Officer of No 75 Squadron. 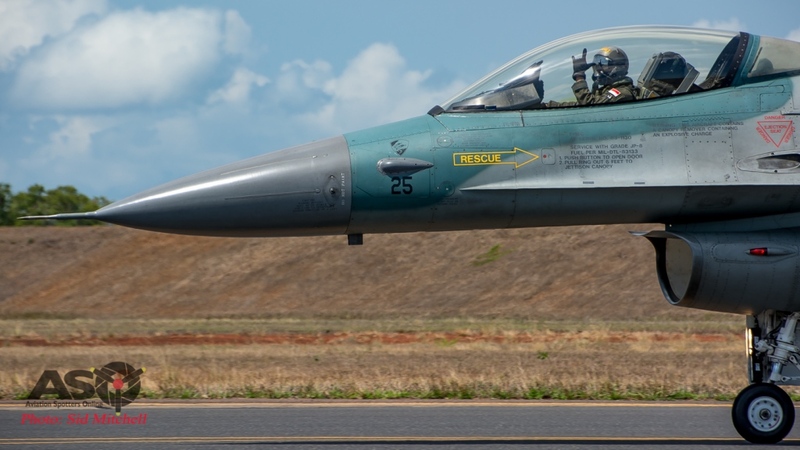 WGCDR Grant is no stranger to meeting the local media and with a backdrop of TNI-AU F-16’s to set the mood, and us with our cameras at the ready, he welcomed us and began describing the purpose of Exercise Elang AUSINDO 17. Commanding Officer of the 75 Squadron welcomes media. 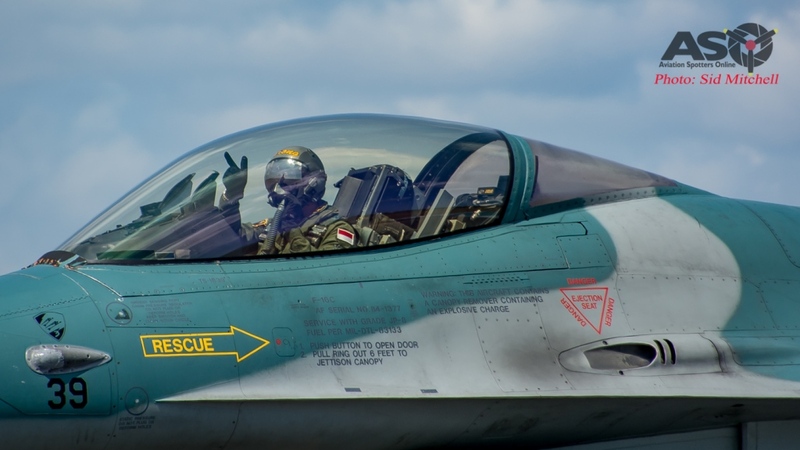 “We have brought 8 F/A-18’s up with us here to exercise with the Indonesian Air Force who have brought seven F-16’s to this exercise. The aim of the exercise is really two fold. The first is for international engagement between Australia and Indonesia. That is at the personnel and organisational level, developing those relationships as best we can to ensure that should we ever need to operate together in due course, that the fundamental links are in place if and when that time arrives. WGCDR Grant explains what Exercise Elang AUSINDO 17 is all about. 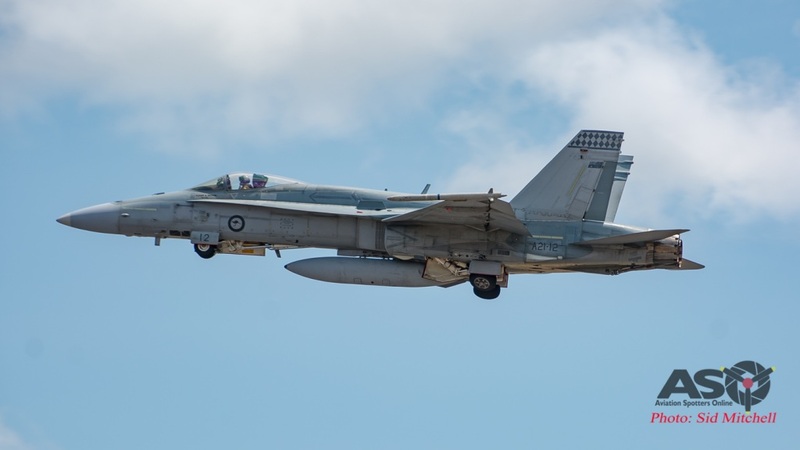 WGCDR Grant goes on to say most of the flying is performed over water 50 km or so northwest of Darwin as the RAAF is very conscious of trying to minimise the noise footprint in the Top End. 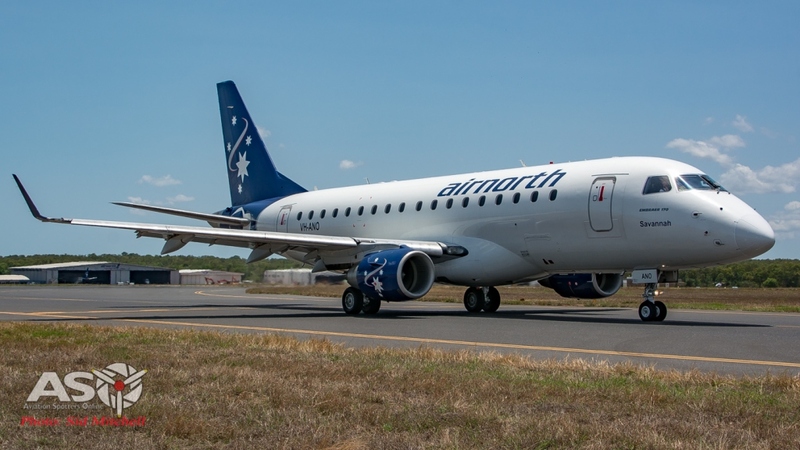 “That being said, if you really want to see an aircraft at its best, I recommend you come out to Hidden Valley for the V8 Supercars” – he says with a grin. 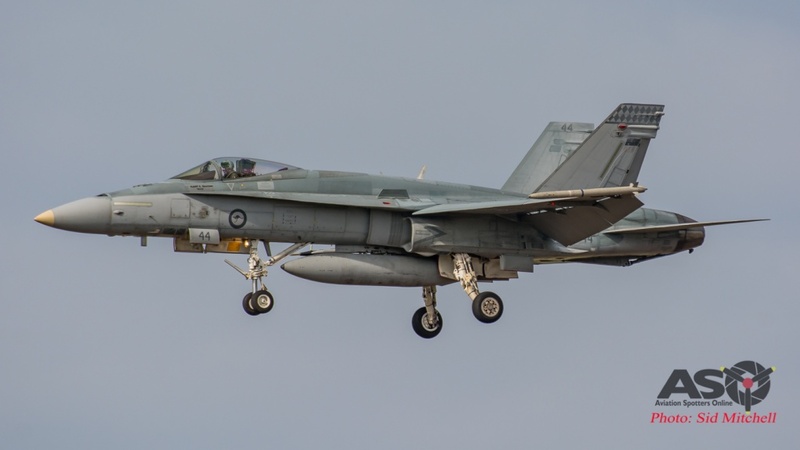 RAAF F/A-18A Hornet from 75 Sqn departing Darwin. This week has generally followed a two wave morning and afternoon launch pattern – the first wave departing about 10-10:30 AM for about 60-90 minutes where the packages carry out 3 or more 1 v.s 1 or 1 v.s 2 ’dogfights’ before returning to base to replenish and then the second wave at about 2-2:30 PM. 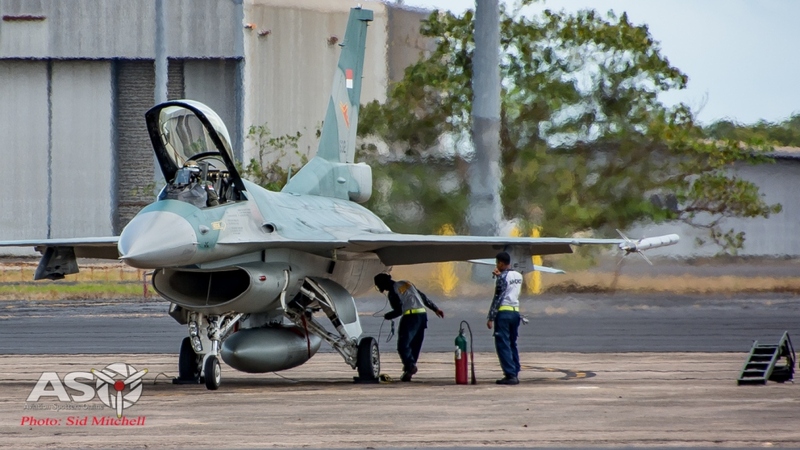 TNI-AU F-16C from 3 SkU waiting for aircrew prior to a training mission. 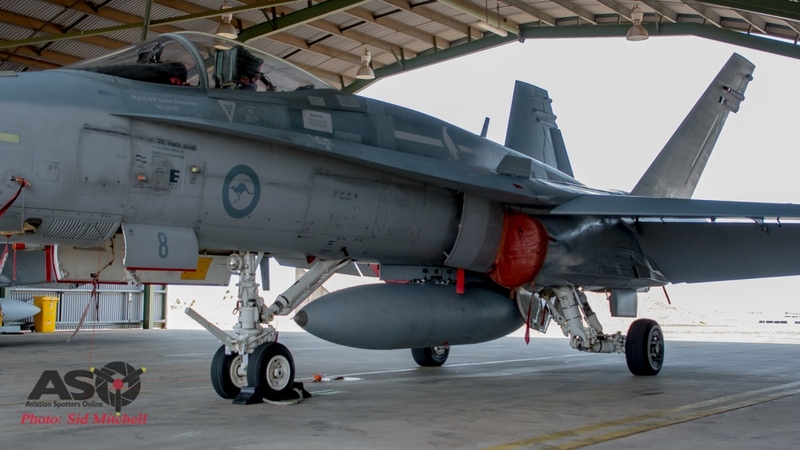 He continues on by saying that even though he hasn’t flown with the Indonesians for some time now, they have however been to Darwin quite recently – last year during Exercise Pitch Black 2016. 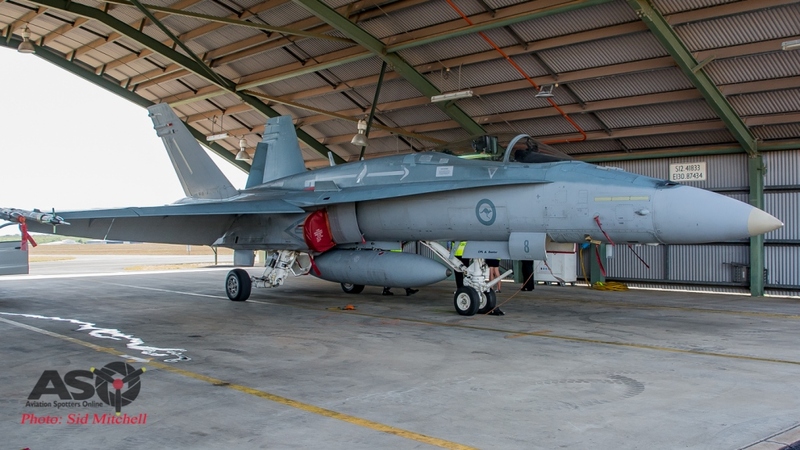 Previously to that in 2015 Australian Hornets travelled to Indonesia to operate with them. 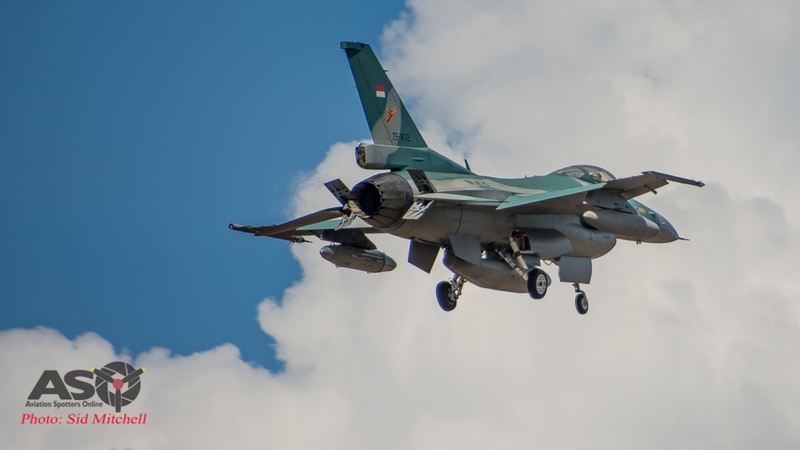 Within the last 5 – 10 years there has certainly been an increased focus on co-ordination and inter-operability between other nations in S.E Asia. 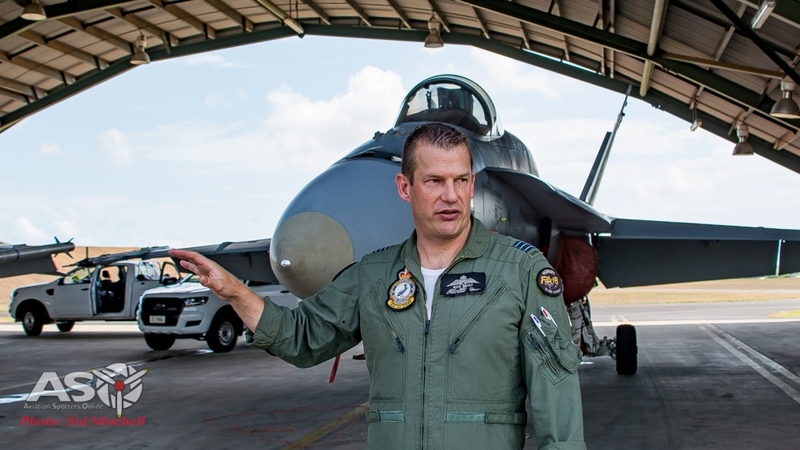 “75 Sqn has recently returned from 5 weeks deployment to Thailand and Singapore, maximising and learning about different aircraft types and their capabilities, which makes us a more knowledgeable and powerful Air Force, and ultimately acts as a wonderful deterrent here in Australia”. 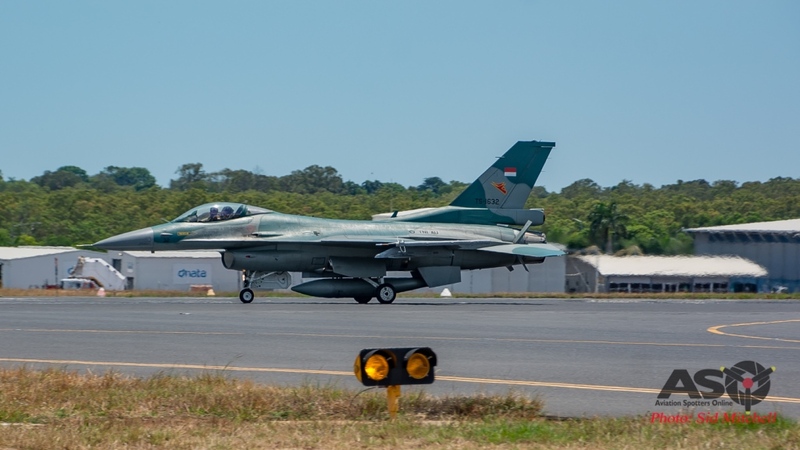 Because the younger Australian pilots have been very keen to fight against dissimilar aircraft, he has let them have a go early this week, so WGCDR Grant only had his first exercise mission yesterday, against two F-16’s. He has been very impressed with the professional briefs, great tactical execution in the airspace, and the de-briefs by the TNI-AU. Thus far the exercise has been going exceptionally well and exceeding all his expectations and he has been very impressed with the professionalism and execution of tactics so far this week. 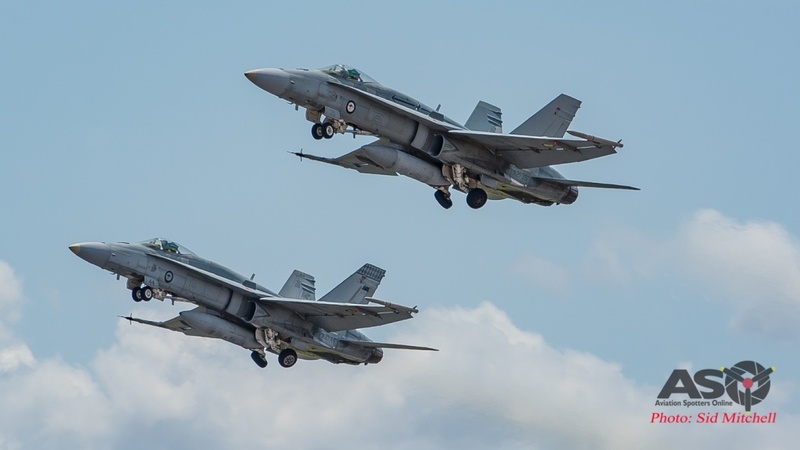 With reference to speed – “Out in the airspace there are no speed or tactical restrictions placed on us so we can operate our platforms to the full extent up to and beyond the speed of sound. The beauty of operating in Australia and what attracts our international guests here is the size of our airspace. 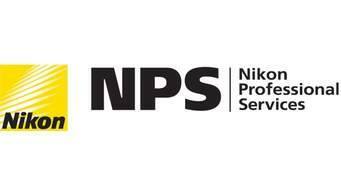 It is that we have one, if not the best training space in Australia”. 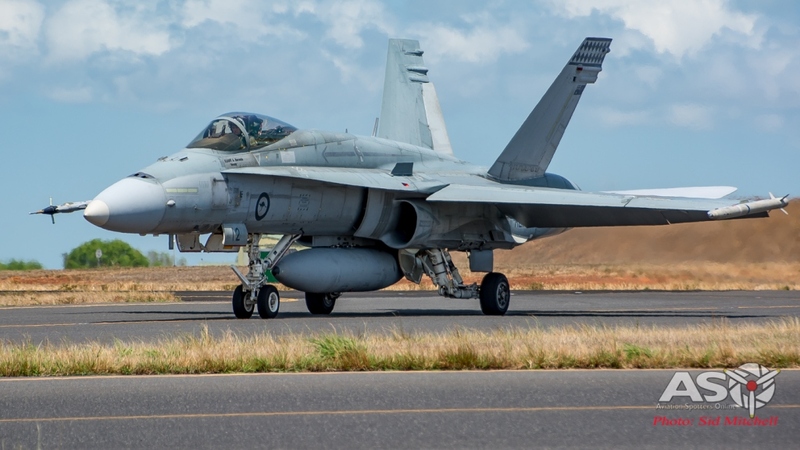 What of the the differences between the F-18 and the F-16 – “It is critical that we operate with and against other platforms and we don’t get used to our own capabilities… its important in extending our aircrew’s understanding in what we need to do if, and when, we turn up to that merge or fight and see a different aircraft type. We have to identify that aircraft and understand where it’s strengths and weaknesses lay. 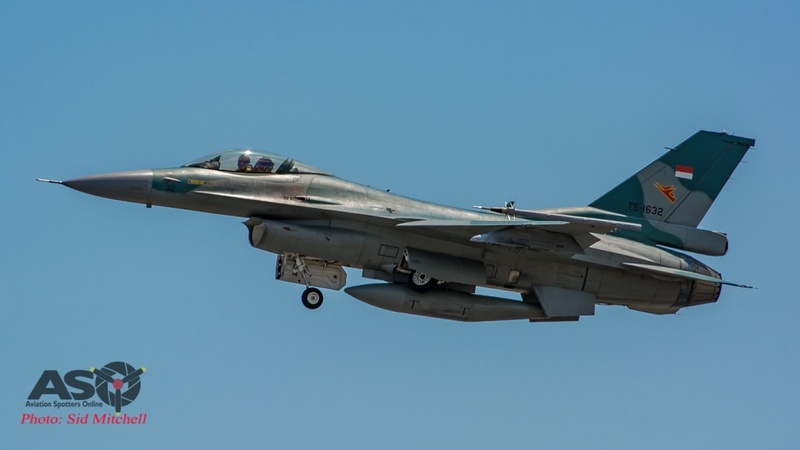 So the F-16 is very different to the F-18 which is an agile 4th generation fighter whereas the F-16 has an excellent thrust to weight ratio…a big engine for a small aeroplane, which can make it agile in terms of the BFM (dogfighting) we are doing at the moment. 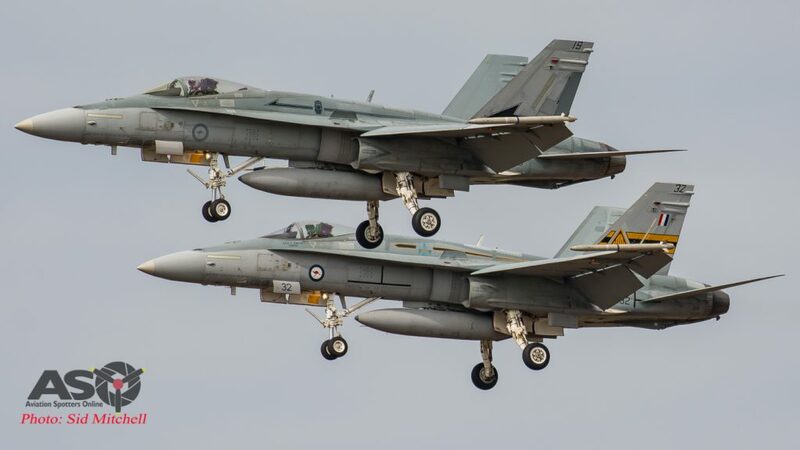 But turn performance is also very important and that’s where the F-18’s strength lays”. From the MHS we are escorted out to an OLA (Ordinance Loading Area) where we find two 75 Sqn F/A-18A’s parked under the roof. 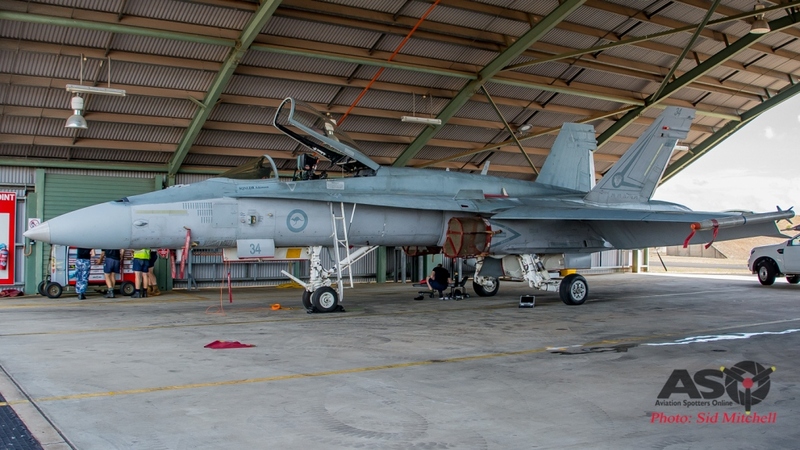 A21-34 has had the centreline fuel tank and pylon removed so that the maintenance crew can work on part of the engine bleed air system. 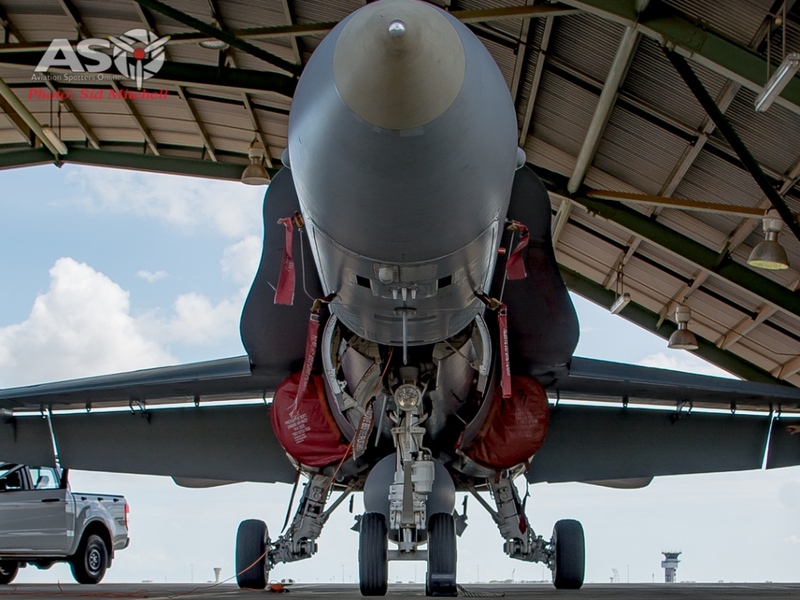 It is fitted with engine intake FOD screens to protect the engines from ingesting foreign objects while performing ground runs. FOD screens fitted to engine intakes during ground engine runs. 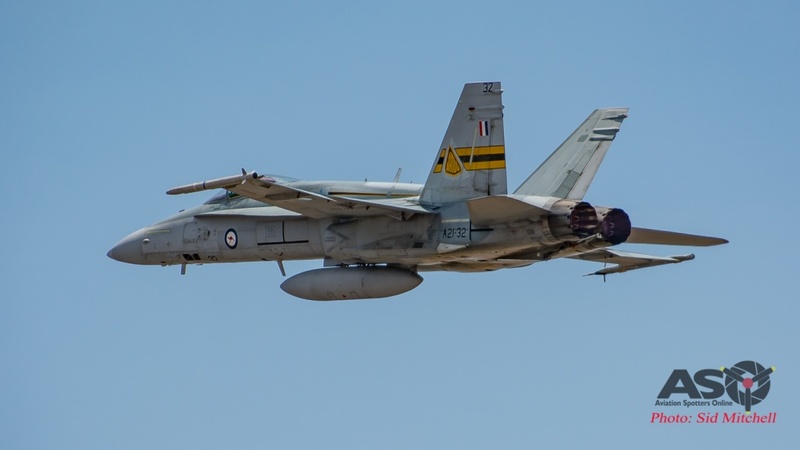 The 20 minute photo opportunity is enhanced by the CO explaining various aspects of the Hornet, its operation and giving a simulating part of a pilot’s are flight walk around of A21-8. He explains that the aircraft are fitted with an Air Combat Manoeuvring Instrumentation Pod (ACMI Pod) which uses GPS positioning to identify the aircraft position in the battle space – this information is then used to monitor, review or analyse the merge and subsequent air combat manoeuvring of each aircraft to improve training. 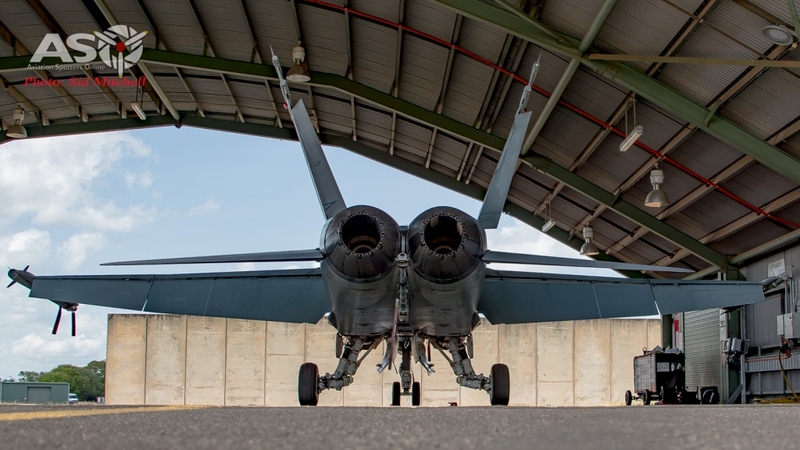 On the other wingtip (port) the Hornet has a missile fitted to the launcher. 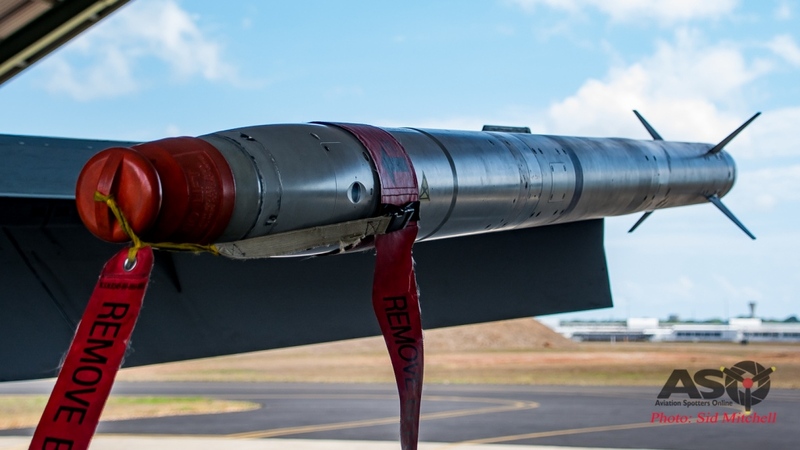 This is the Matra-BAe AIM-132 Advanced Short Range Air Air Missile (ASRAAM) which has been in service since 2004 as the RAAF’s Within Visual Range (WVR) missile. 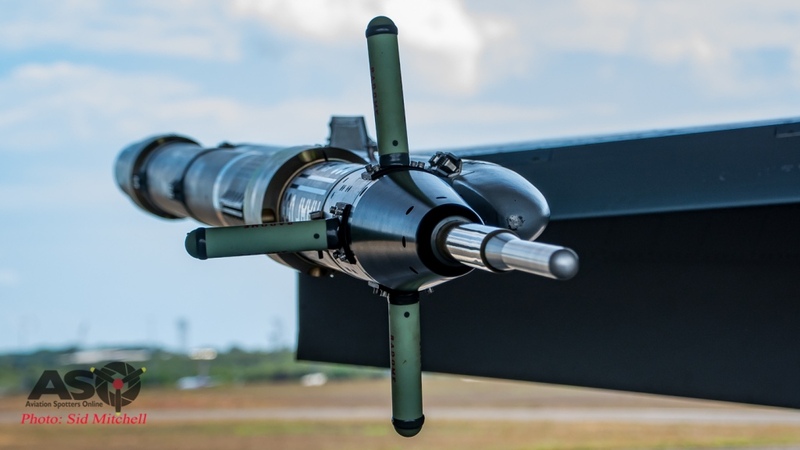 Although a training missile, the Infra Red (IR) seeker head is the real deal so the pilot still has seek, track and lock functions providing feedback as if it were a live weapon. 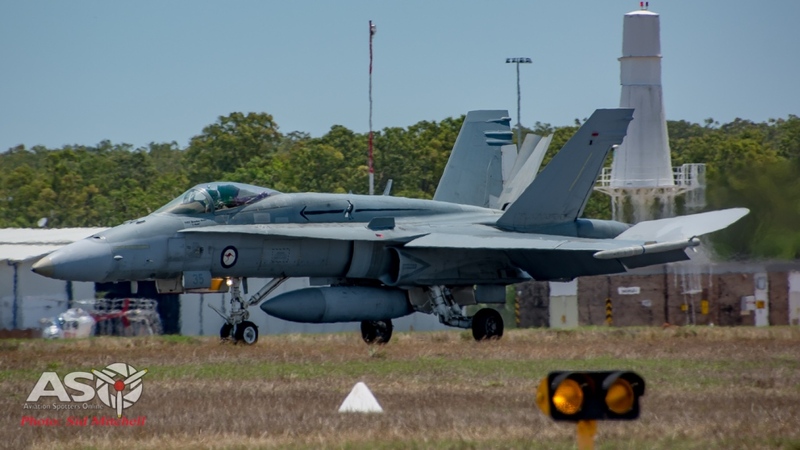 Nearby we hear some aircraft starting up their APU’s and soon after the sounds of GE F404-GE-400’s, the Hornets main engines. With the arrival of the Base Safety Officer we drive to the BRA apron and are given a brief in regards to safety at our position, the 5500’ marker, pretty much smack bang in the middle Darwin’s 11,000 foot runway. Once we sort our gear we wait for the aircraft to taxi. 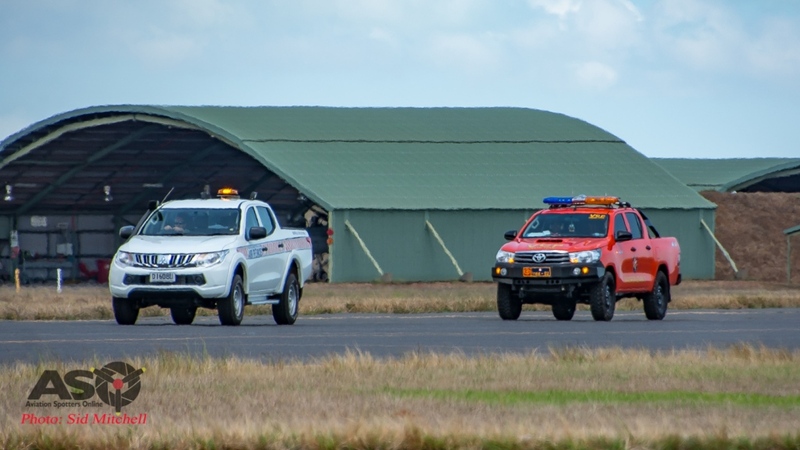 TNI-AU ground crew driving past to the ‘arming point’ at the runway end. 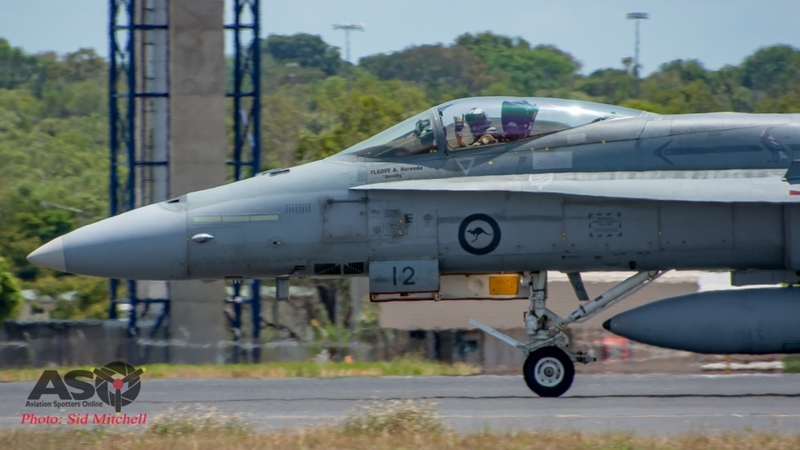 First the 75 Sqn F/A-18’s taxi out but wait for the No 3 SkU (Squadron) TNI-AU F-16C’s to pass them as they are slotted to depart first. 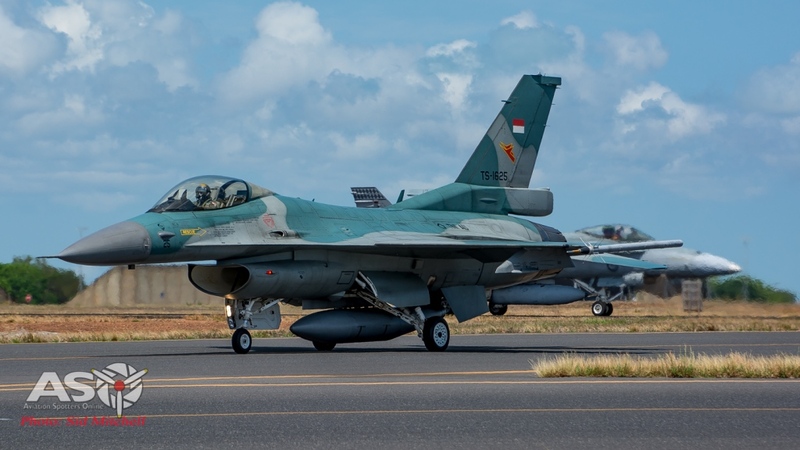 The F-16’s will pause at the holding point while the TNI-AU maintenance teams simulate ‘arming’ of their aircraft, before lining up on runway 29. 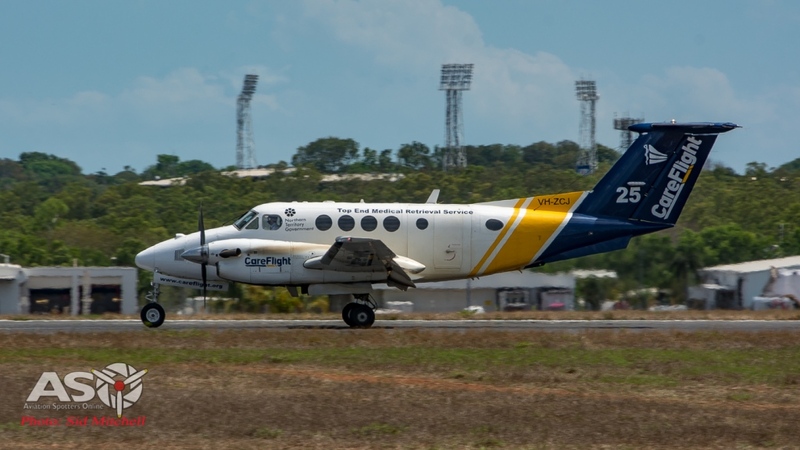 Pilots taxiing past a few media with cameras?……naturally we get a wave from one,two or three. 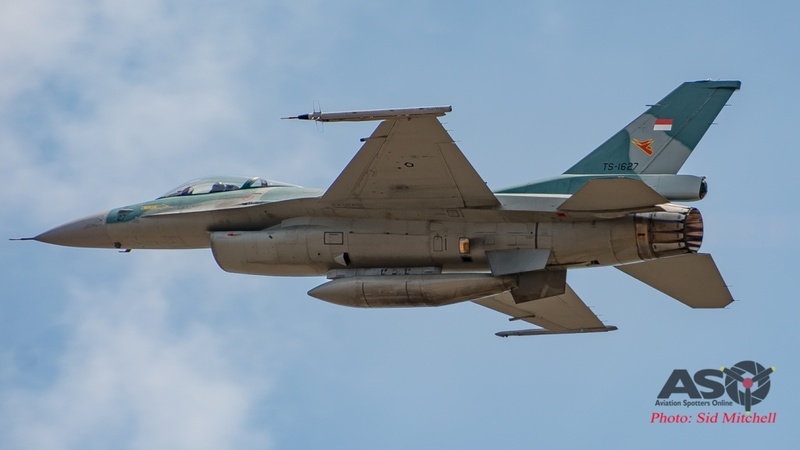 A21-12, the “1” of a 2 vs 1 package following the two F-16’s. Todays first morning wave consists of two F-16C’s launching followed by a single F/A-18A. 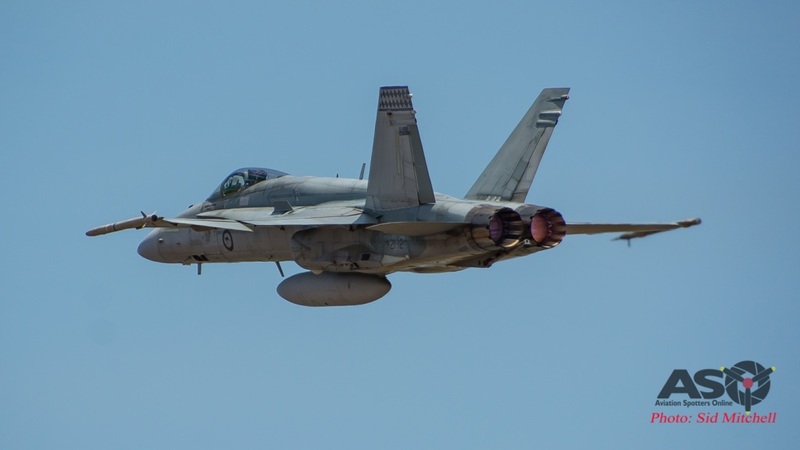 There is always something satisfying for an aviation fan when standing 50 meters from jet aircraft as they roar past with afterburners lit… especially paired two-up. Next to depart was a pair of F-18’s followed by a single F-16 – another variation of the 2 v.s 1 scenario mix and match the 75 Sqn CO was explaining to us about earlier. After a half hour break to allow some media to depart, we returned to the runway, heat haze playing havoc, for the second time of the morning. 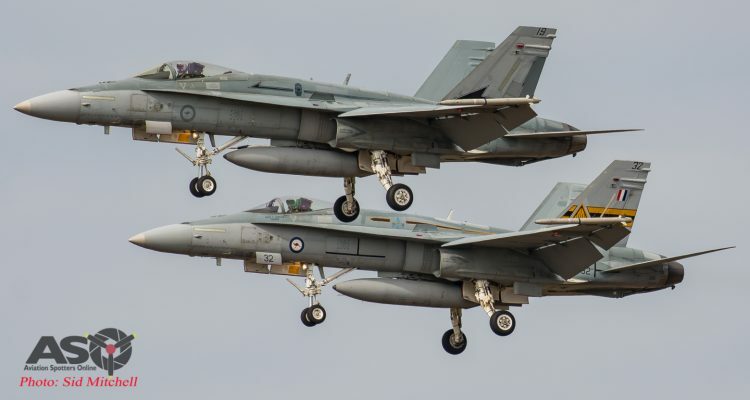 Firstly a F-16 vs F-18 before another 2 F-18 vs 1 F-16 package signalled the end of morning departures. 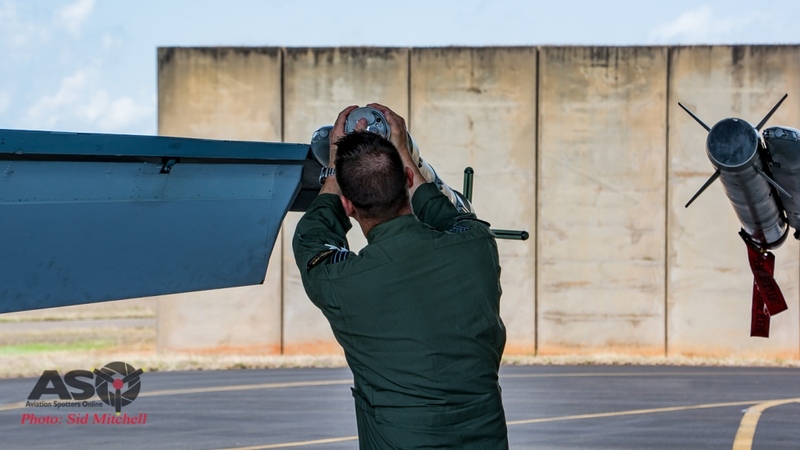 A21-51 with 77Sqn tail flash – sharing aircraft is common practice these days. 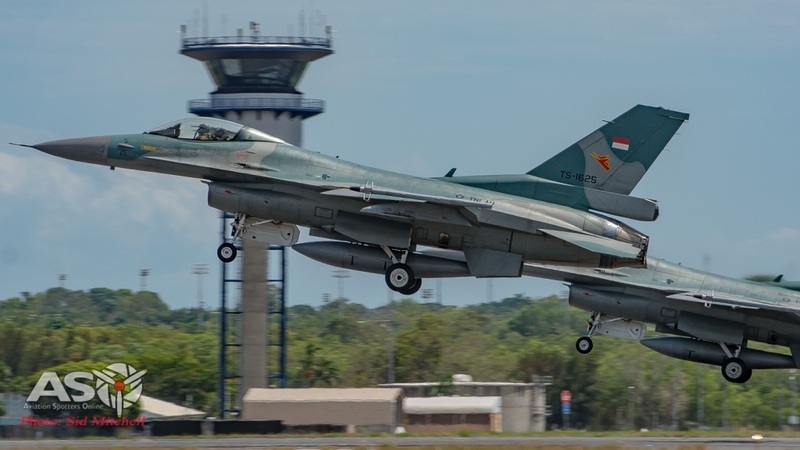 Within minutes we could see the landing lights of the first aircraft returning – a TNI-AU F-16 announced by the Base Safety Officer who was listening to Darwin Ground/Tower frequencies on his radio. For the next 10 minutes we were treated to the returning jets landing one after the other, some in pairs, rolling out past us to their respective OLA or flightline. 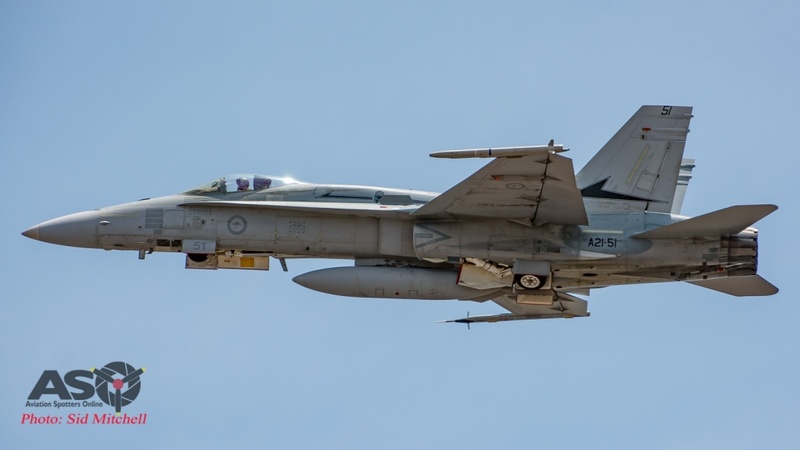 Occasionally civilian props or jets were slotted in between military movements. 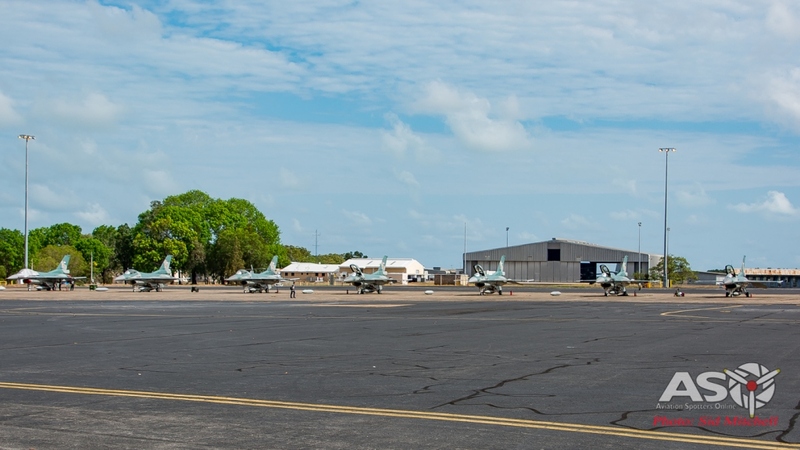 As Darwin airport is a shared facility, RAAF 452 Sqn operates the Control Tower and ATC and as such performs scheduling of both civilian and military traffic into and out of Darwin, including ground movements, all which can become a little bit hectic, especially during peak periods such as exercises. It was with some relief, even for a local, that we left the blazing midday sun next to the runway and headed for the shade of an OLA for some final static aircraft photos. After thanking the 75Sqn CO and BSO, and handing in the pass, it was time to leave the base via the front gate. What a fantastic day and one that I will not forget for a long time. 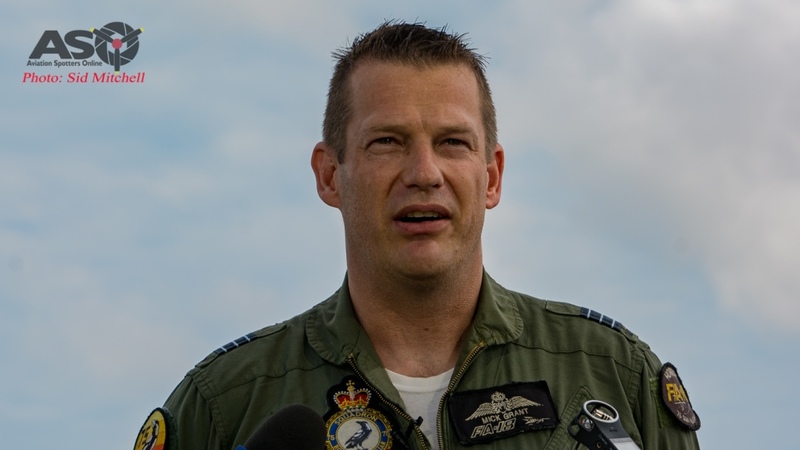 I would like to thank Wing Commander Michael Grant (CO 75SQN) and the RAAF Public Relations team, Marnie, FOFF Dea, Sgt Hack who allowed me to have a small insight into day to day operations during another of the Top Ends regular exercises. Excellent article Sid, well written & explained for us newbies and certainly what an amazing experience for yourself.